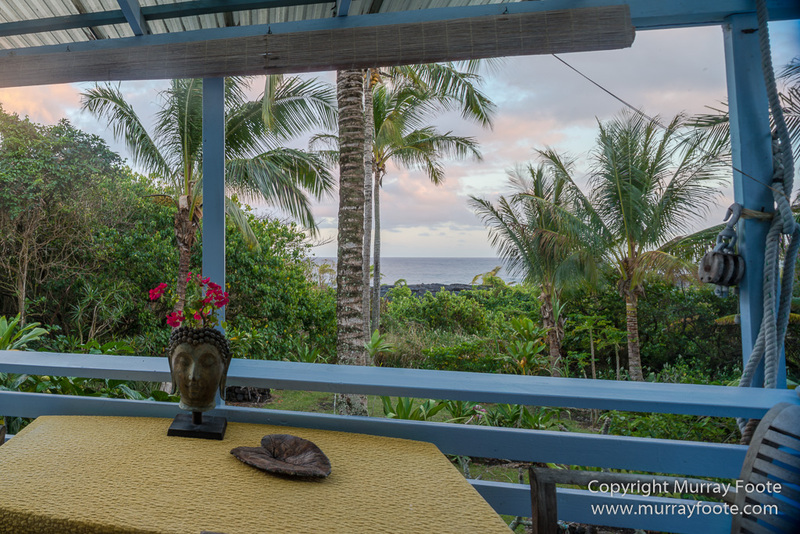 After Oahu and the Surfing Photography Workshop, Jools and I flew to Hawaii (the Big Island) and stayed for four nights at Ma’ukele Lodge on the South-West Coast with Raven and Mark. 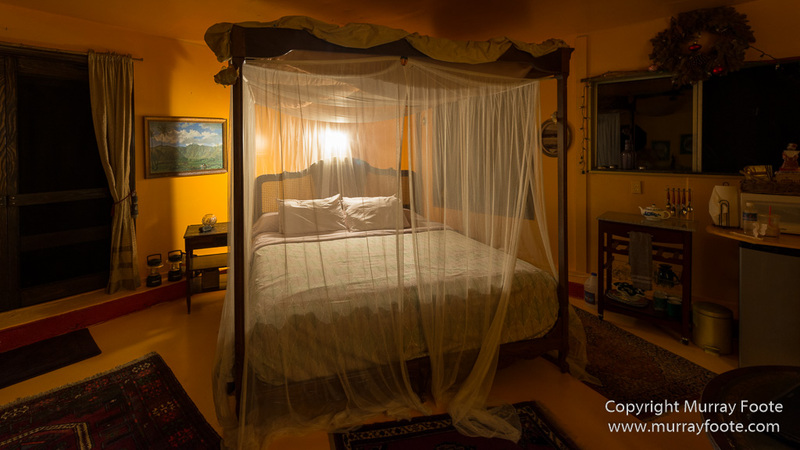 I don’t usually show where I stay but I took some images for Raven for her website and include them here. 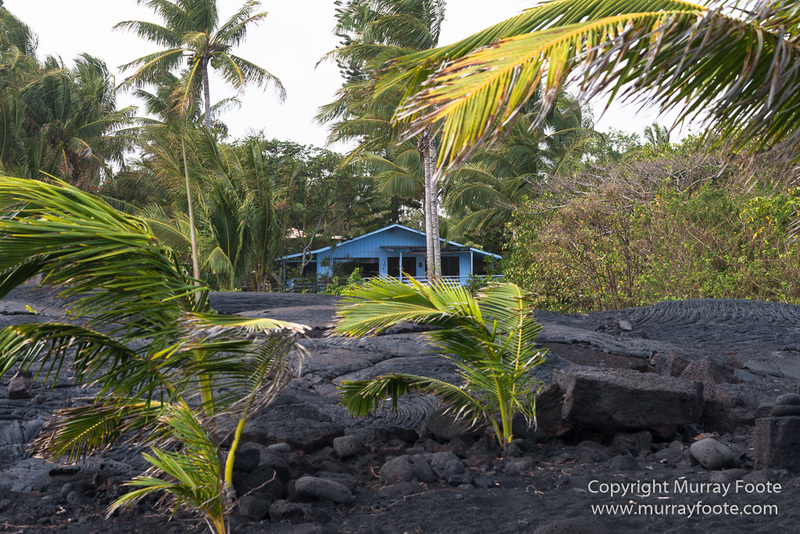 You can see the sea from the front verandah and there used to be a black sand beach there but a volcanic eruption in 1990 replaced the beach with lava. 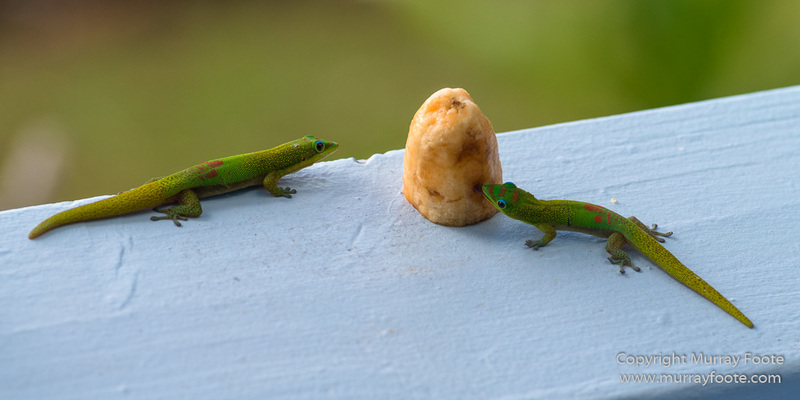 There are numerous little green geckos scuttling around the verandah railing at breakfast time. 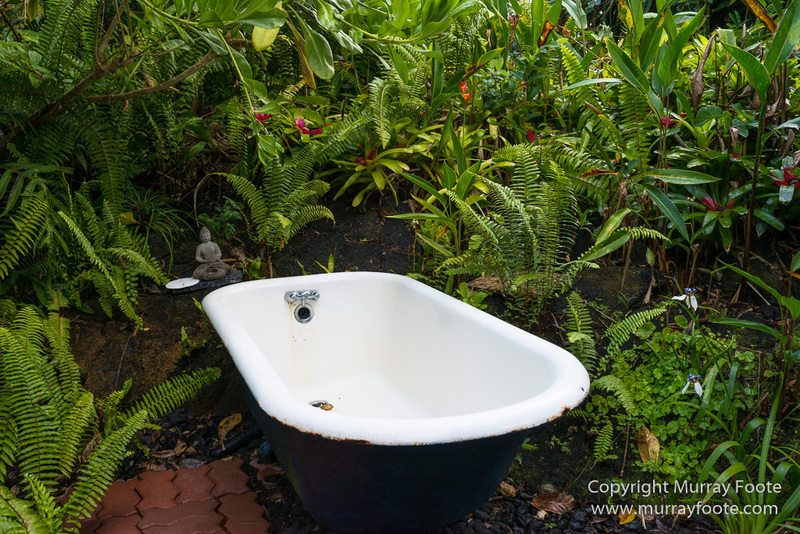 Part of the outdoor bathroom. 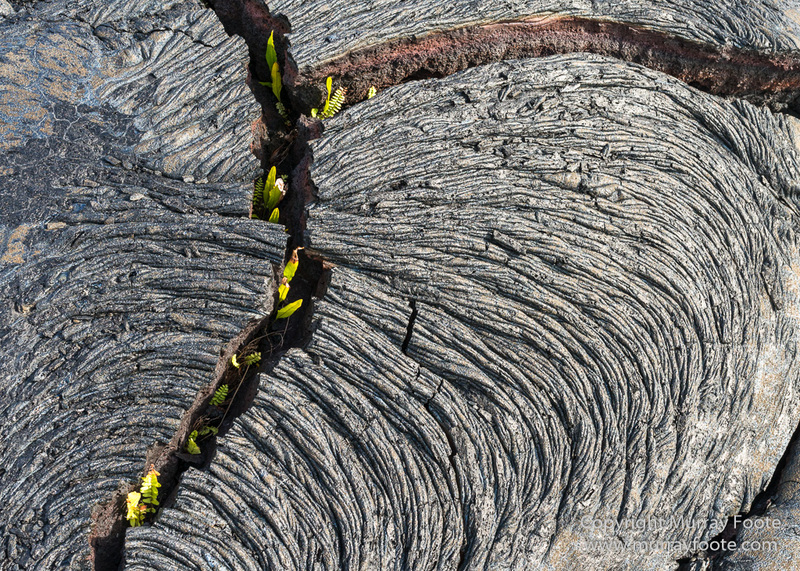 View from the lava at the front. 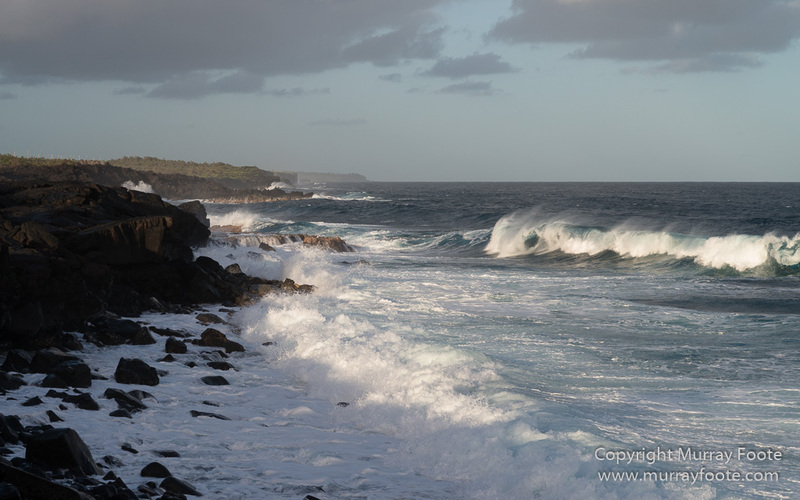 Wandering around on the lava fields where the beach had been was a real surprise. 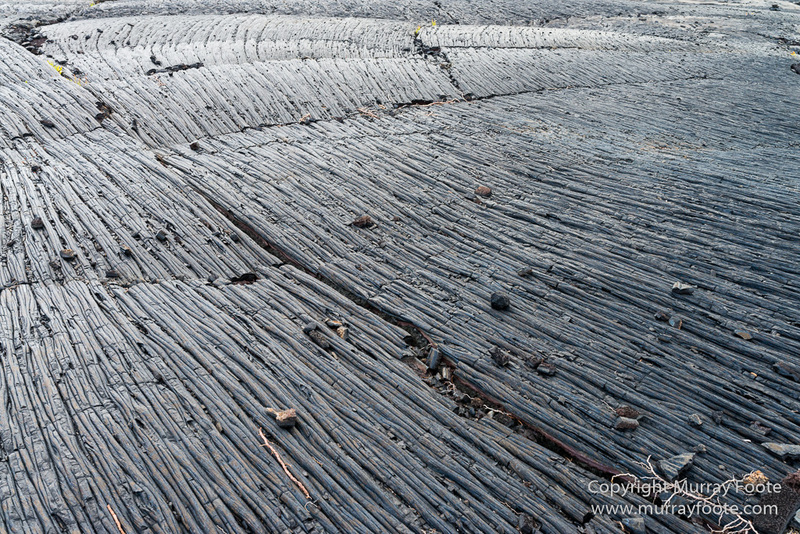 Coming from New Zealand and having visited Iceland, I’ve seen lots of lava but none like this. 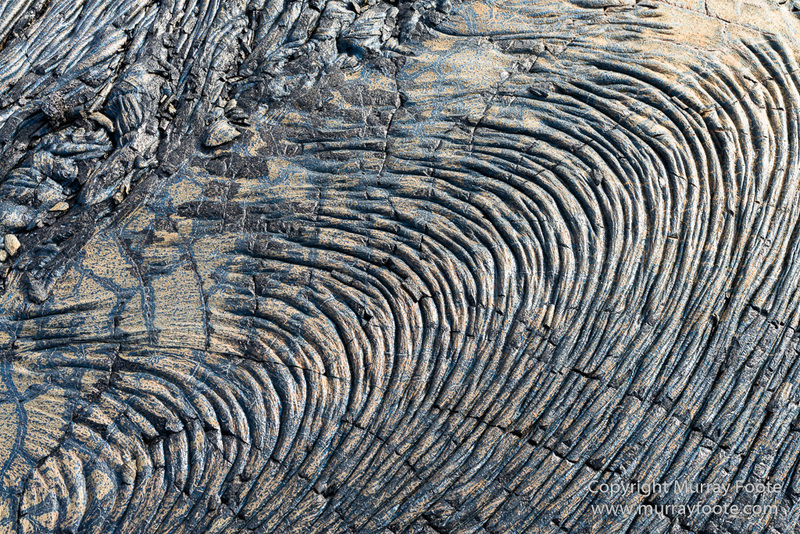 It has cooled into a cracked skin with remarkable shapes and contours. 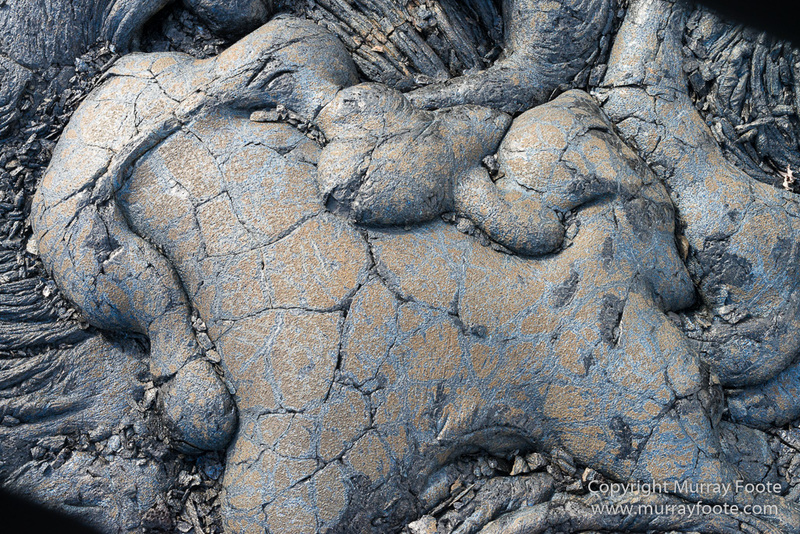 Other old lava I have seen has been very jagged. 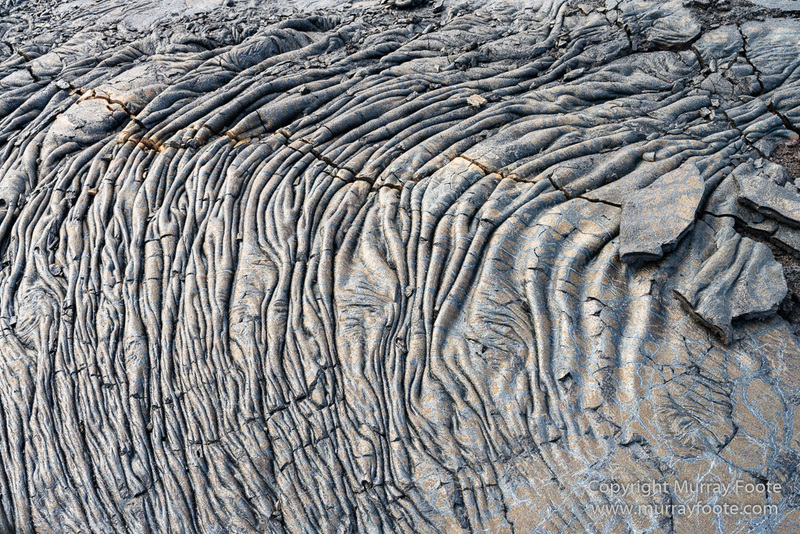 It may be that this is very recent and hasn’t had time to erode; it may also be a measure of how slow the flow was and how smooth the skin initially. 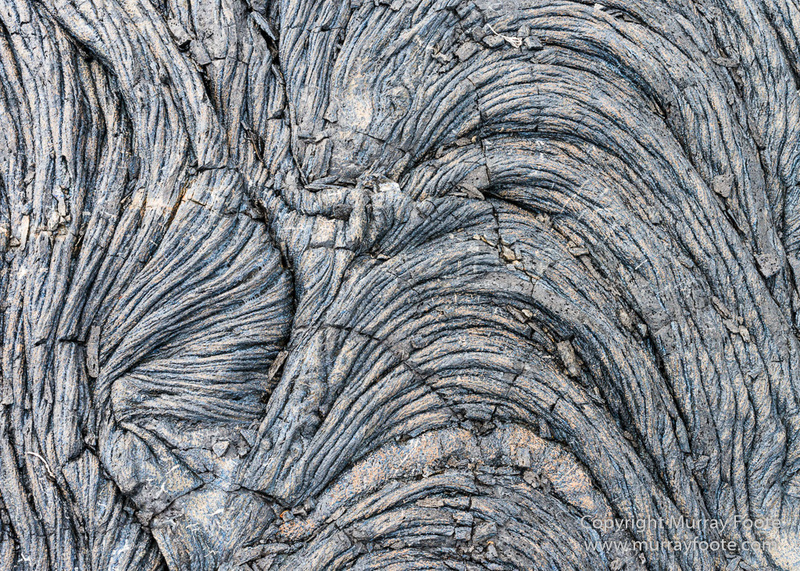 There are also some interesting colours and patterns of minerals separated out from the cooling lava. It was late afternoon and the low angled light helped give definition to the shapes. 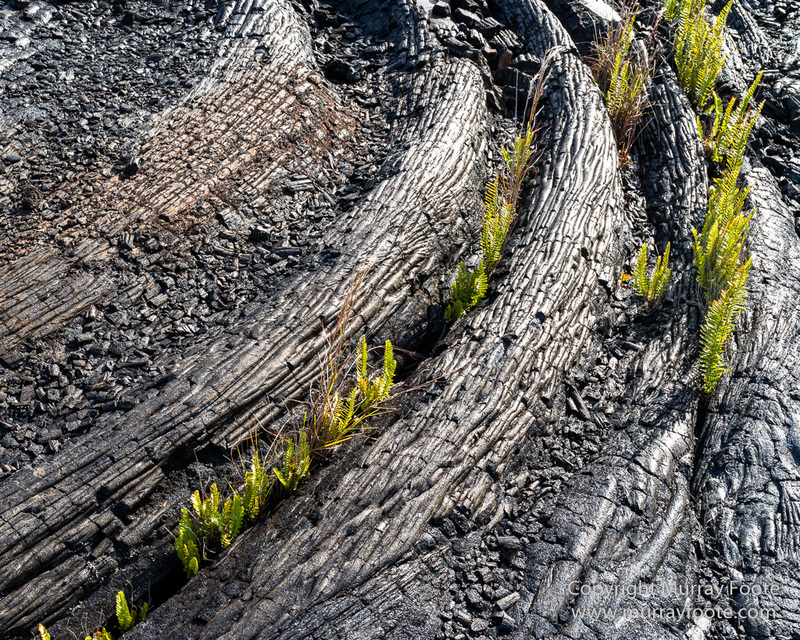 Plants can be surprisingly resilient. Wherever there is an opportunity…. The coast, looking to the south west, in the fading light. This entry was posted in Hawaii and tagged Architecture, Hawaii, Kaimu, Landscape, Nature, Photography, seascape, The Big Island, Travel. 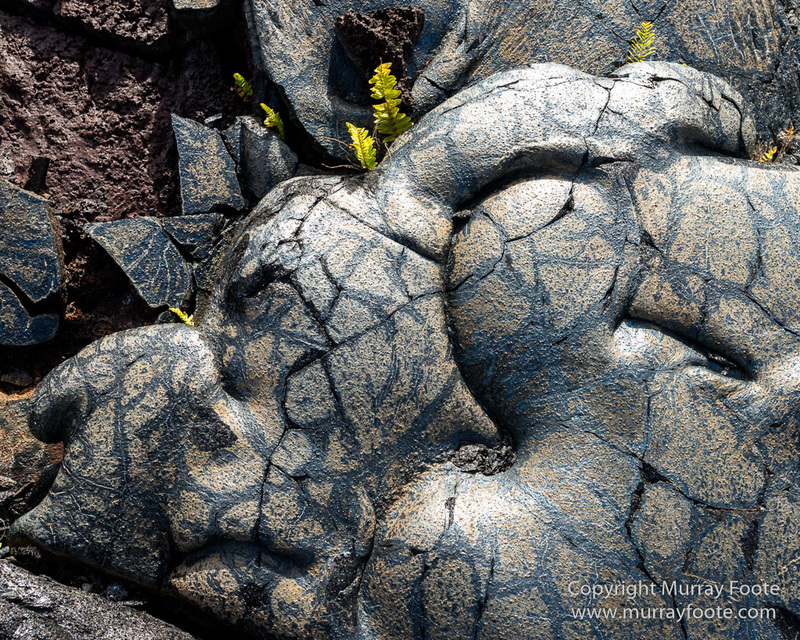 Love the pattern/texture shots in particular Murray. 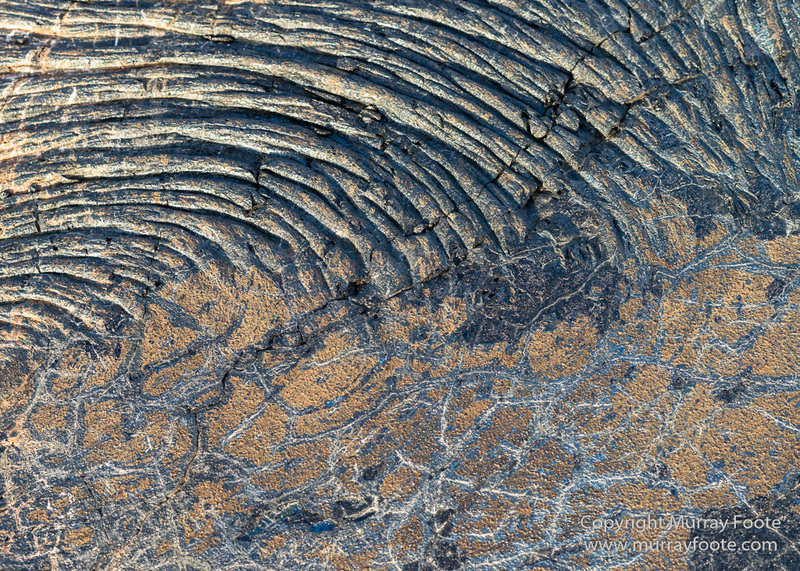 Really interesting patterns – so beautiful. The hotel looks so peaceful. Yes, wonderful patterns. More like a home than a hotel, a home away from home. 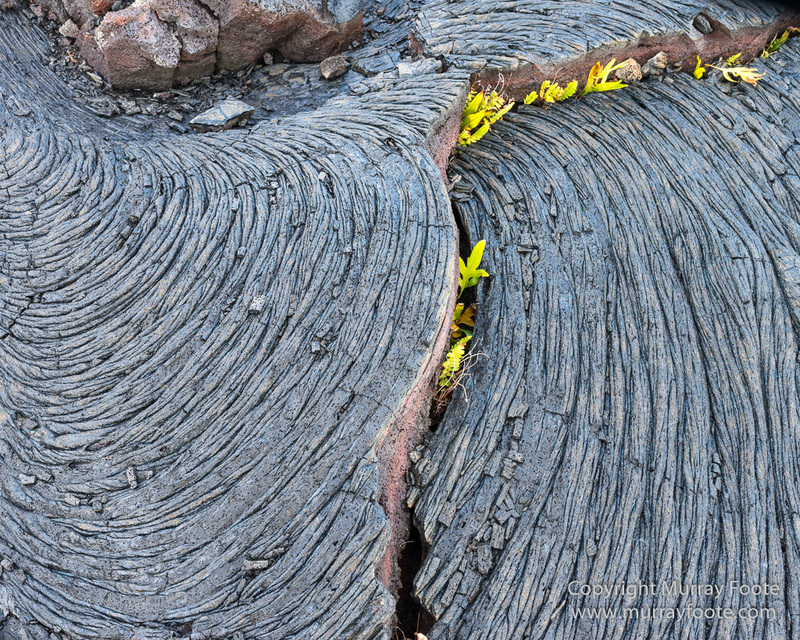 Beautiful and creative patterns and textures in the lava. 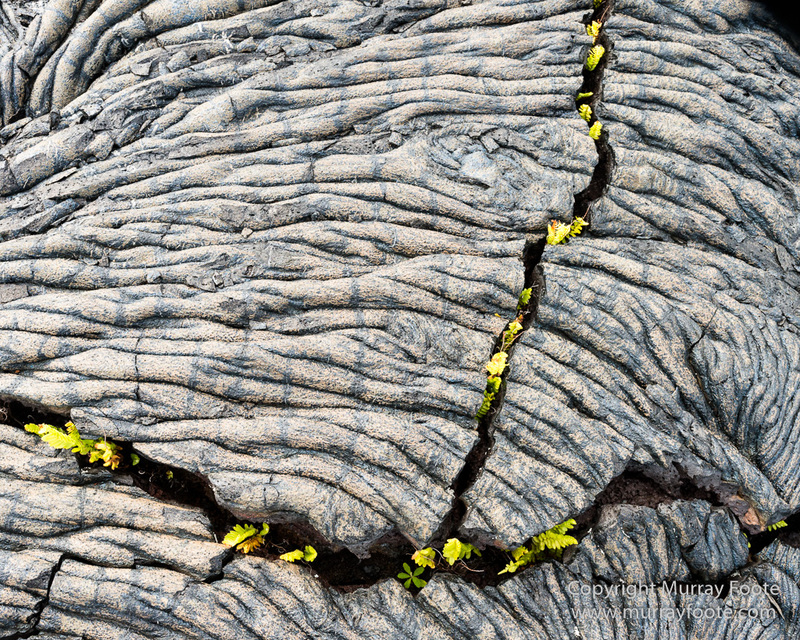 It must have been so different with a sandy beach before the lava. 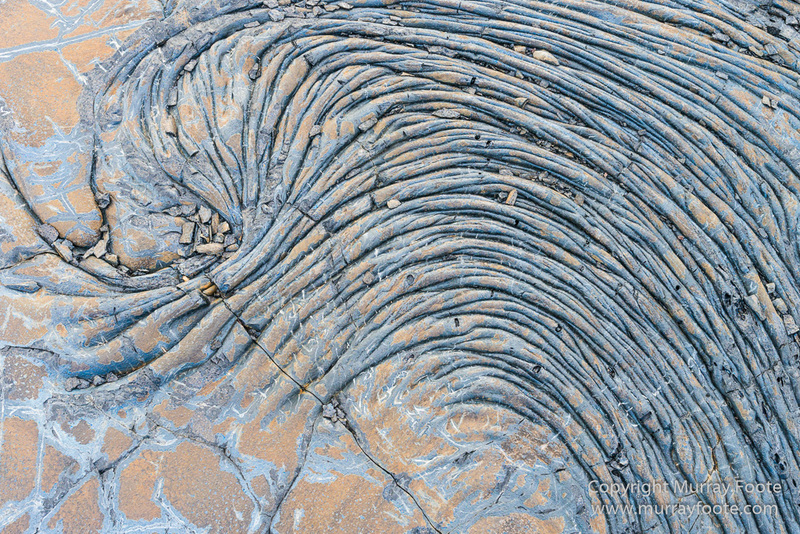 Just goes to show that Nature is always changing and modifying our world and what is here today may be gone tomorrow. There was a famous fine-grained black sand beach there before 1990 and it must be very different now. Mainly skinks in Australia so a novelty for me. 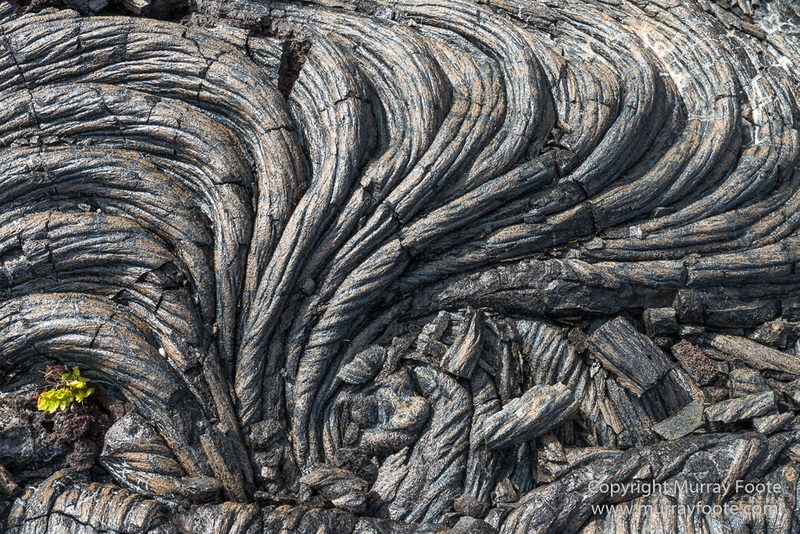 Those lava patterns are fantastic.. Yes, I could hardly believe it, right outside the door. Sometimes the best things are right under your nose. 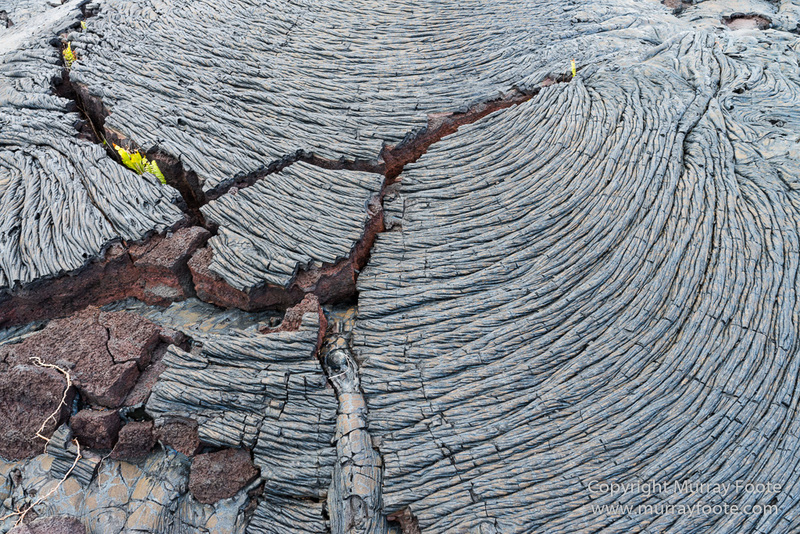 Very cool lava, and very cool shots of that lava. And outdoor bathroom. I’m thinking of going to the Big Island this summer. I’m wondering if you can still buy land there without offering up your first-born child? Did you use panorama mode, or just crop from a wide angle? I don’t actually know but I would guess it requires some expenditure of children. Away from the tourist areas and not in sight of the sea would obviously be cheaper. No, I don’t use panorama mode. The two panoramas are multi-image, the first processed in Photoshop and the second in Autopano Giga. Ah, Photoshop. I have it on my computer, have not learned to use it. I’m wondering if I can use grandkids instead of first-borns? Lightroom is the way to go for most things. Much more straightforward than Photoshop when you get used to it. Doesn’t do panos, though. 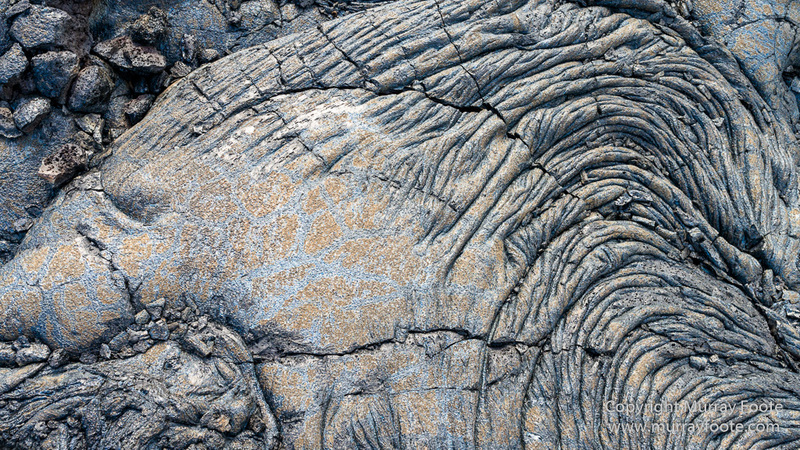 Hawaii has a long tradition of human sacrifice so all sorts of things may be possible. Never been asked to participate in it myself. That might be a good thing.